Lima tahun telah berselang sejak kehadiran terakhir “Good Eats” yang dibawakan secara jenaka oleh si jenius Alton Brown. 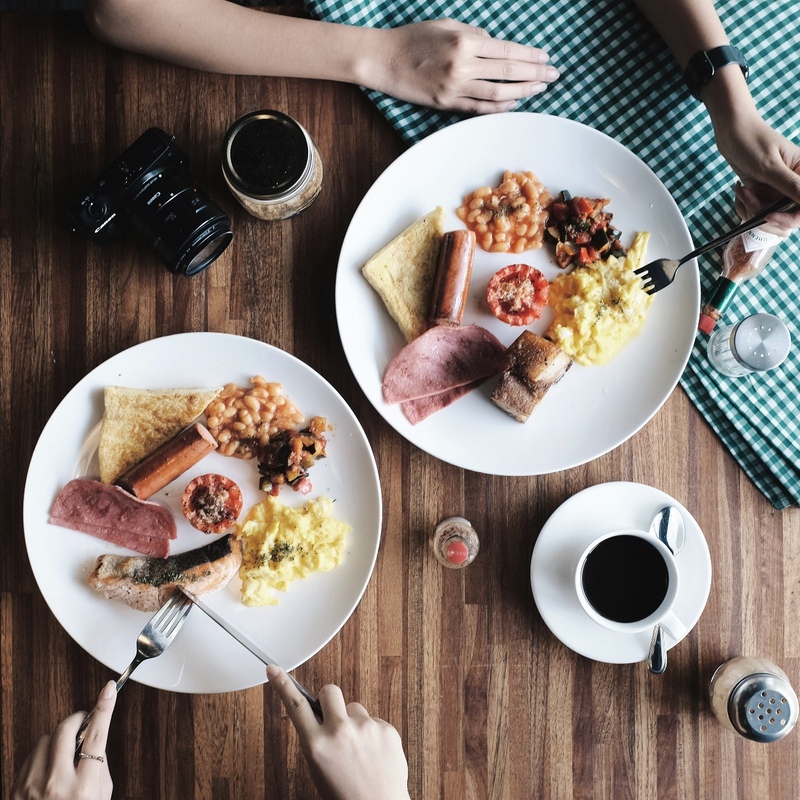 Good Eats, sebuah acara kuliner yang begitu teatrikal dan berbagi berbagai aspek menarik tentang makanan memang telah berlalu. Berbagai acara lainnya mencoba untuk mengulang sukses ini namun sulit rasanya menandingi showmanship yang dimiliki khas oleh Alton Brown. Baru-baru ini, Alton Brown mengumumkan melalui video Facebook-nya bahwa ia akan kembali dengan jilid kedua Good Eats yang akan dinamai “A Cooking Show”. Kali ini Alton Brown akan merilisnya di internet sebagai ekspresi kebebasannya yang tidak ingin dikekang aturan pertelevisian. Apapun kemasannya kelak, sepertinya para netizen sudah tidak sabar untuk segera merayakan kembalinya Good Eats segera. Sepertinya akan banyak hal menarik yang dapat diekspektasikan dari acara barunya ini. Selain karena tengah cuti dari serial reality show competition-nya yaitu Cutthroat Kitchen, memang sudah cukup lama kita merindukan kehadiran Alton Brown di kemasan acara yang seperti ini. Bahkan video-video channel Youtube miliknya sepertinya semakin kurang teatrikal karena kesibukannya. News presenter Glory Oyong tells about how she engaged in the TV journalism, her restaurant business, and free-time activities. There is already love and determination as seen from how Glory Oyong interacts with the camera on her popular morning news show. Sapa Indonesia on Kompas TV will never be the same without her. Together with veteran anchors such as Timothy Marbun and Bayu Sutiyono, she gracefully presents it naturally with such eloquence even at her young age. Clearly there’s more than just beauty to be reckoned here from Glory. As our curiosity here at JAX finally piqued, that one fine afternoon becomes the moment when we finally encounter each other. With her energetic nature and welcoming smiles, she shares us a story about her life. Can you tell us a bit about the highlights of your career in journalism? My earliest day in journalism was when I did some broadcasting with a radio station. I took my pleasure knowing that people actually listened to the program. My first time with Kompas was when I became an intern at the dot com. I realized that I finally got to meet with people who have the most up-and-coming knowledge about what really happens out there and also being able to meet important people, like the decision makers. That’s why I decided to apply for a job at the recently inauguratedKompas TV back in 2011 after I graduated from university. It took some time for the screening process but I finally got my way in. At first I thought it was gonna be like a walk in the park but every newcomer must start it from the very bottom. I was assigned as a field reporter to cover about fire, flood, criminal cases, and of course – the legendary arus mudik (the stream of homecoming visitors during Lebaran)! Now on my fourth year with Kompas TV, I am hosting my morning show and also entrusted as a producer for the programs here. My goal is that one day I will have my very own show. Something like what Robin Meade does at HLN with her Morning Express. There will be hard news of course, but there will be talks with competent people of the issue. Lastly, there’s the unique satire segment to address the concern about anything that recently happens. Journalism is something that I like to pursue as both career and passion. You are also known for your athletic ability and modeling career. Can you tell us about it? When I was little and living in Batam, I was a tomboy and my hair was cut short. My father taught me everything about sports from swimming and athletics to badminton and basketball. One day my mother wanted to develop my feminine personality as well. That’s when I started joining the beauty pageants. Thankfully, I managed to keep it going with not just local pageantry but also at the international level, until I decided to focus on my study. With so much at hand right now, how do you keep your life in balance? I have realized since my modeling days that we will need to sacrifice something to be an achiever. Since then I have sacrificed my personal time and my time with family. I rarely go home to Batam anymore now to visit my parents. But I would do that at least once a year. However, the key is to keep it well managed. For instance, my weekend should be spent for church and my family. But I realize that as a woman, I have my obligations as well for my husband. In return, he gives me the freedom to develop my career. My restaurant, Bakmi Alay 38, is a business that runs itself. This way I can focus on my journalist work. I spend my time after work for sports activities. Are there any local and international news presenters who have inspired you in this career? Can you mention some of them? There are Hala Gorani and Erin Burnett from CNN. I just love the way they present themselves firmly but intellectually and yet at the same time they are also gentle. From Indonesia, I always adore Rosiana Silalahi who is now my mentor and superior here in Kompas. I watched her interviewing top politicians like Lee Kuan Yew or George Bush – never knew that one day I would work together with her. There’s also my senior Aiman Witjaksono. Together they taught me how to be a better journalist. At my workplace, I learn from my seniors about how to be a better journalist. My goal is that one day I will have my own show. Cooking! I was born in Padang and my parents taught me how to cook popular Minang dishes. In my pastime, I would cook rendang, dendeng balado or even dendeng batokok. It’s not particularly hard once you started to get the knack of it. Other than that I basically love sports. Before I got married, I spent my time after work for gym, crossfit trainings, or wing chun. But now on our weekends, I am learning tennis from my husband who has been playing all of his life. It’s different from badminton, but it’s good to learn something new. Mention us your favorite food. I can’t say no to seafood. Growing up in Batam most of my life, we always had the access for fresh seafood. From prawns to live crabs, Batam and Kepulauan Riau have native cockles such as gonggong, which tastes deliciously like chicken, or cucut nenek that you won’t see at here in Jakarta. I love every bit about seafood! Living in the capital with its advanced culinary culture, I became exposed with how bountiful the desserts are here. It’s also exciting to know that there are plenty variations for gelato or coffee. But as always, at the end of the day, it all comes back to the noodles – especially now that we have owned ourselves a bakmi business in Pluit, Kalibata and Alam Sutra. Dare yourself and do your best. That’s my personal motto of life. What kind of challenges that you have faced so far? How do you manage them with your personal recipe for success? My life goes by with this personal motto of “Dare yourself and do your best”. However, working in journalistic requires more than just that. You have to “Love your job” as well. This philosophy works well all the time. For instance, I once dared myself to face the challenge of reporting economic news. It was something unknown to me before and I have no background support for it. However, during my two years tenure on economic desk, I learned so much about investment and stock market. It might not be for every reporter but it was my determination that made it possible. My early years being a field reporter were easily the most demanding phase of my career. Every day I have to successfully deliver the news and failing to do so may get me being reprimanded by my superiors. I used to cry a lot back then but I fell in love with my job since the beginning. That’s the most important thing that keeps me going on until this day. Lastly, you have to do your best on everything. If you are not up for this, then what you earn is only for what you eat. Don’t settle in as the second or third but we have to strive to be the first in what we do. Her achievements, among others, has earned her the title of Miss Asia. The tasty noodles at her noodle house in the North Jakarta’s Pluit area is a delight to its regulars, which is another notch on her achievements. 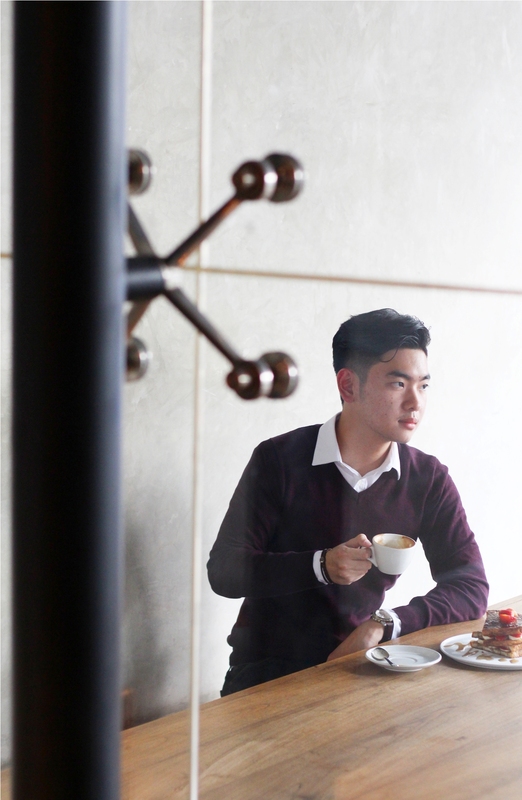 Caught in his free time between running a restaurant and preparing his new role in a feature film, Marcel Chandrawinata has no choice but to confess to us about his guilty pleasures as a foodie. The three siblings from Chandrawinata family are known for their roles in Indonesian showbiz for the past one decade. With a background as a beauty pageant queen, Nadine’s role is currently fixed as a tourism ambassador for Raja Ampat. Meanwhile, Marcel’s twin brother Mischa is concentrating more on soap opera. Marcel told us that he’s now enjoying the challenge of juggling his time with several activities at once while also keeping it balance for his own me time. “Presently, I am about to star in Lukman Sardi’s latest feature film ‘Tiga Dara’. After that, I will be helping my dad with our family resort business in Raja Ampat while occasionally I also love being a DJ and an MC as well”, said Marcel. 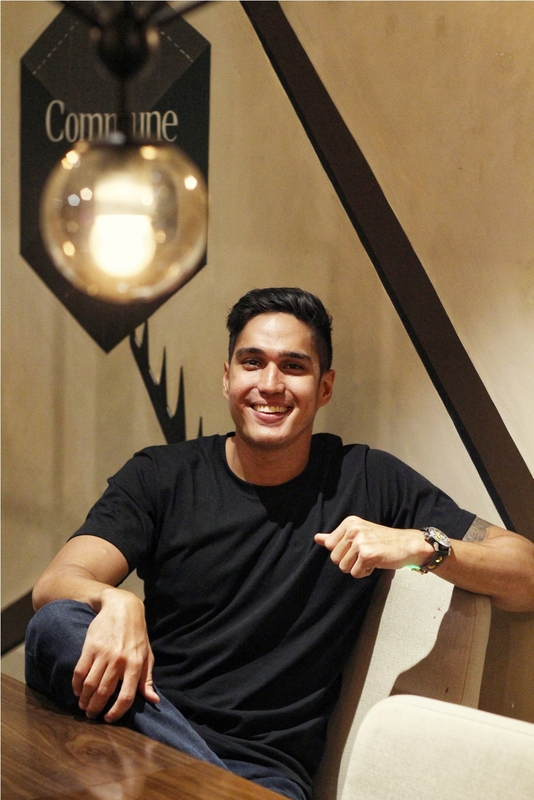 Apart from those activities, Marcel also drops by at Commune Bistro & Grill – a contemporary style rice bowl eatery where he co-owns it with several of his colleagues. “Four of us who own Commune are still young and we are willing to learn every day. We share our ups and downs together”, told Marcel. It appeared that time that he’s getting ready with our inquisitive nature about his favorite food very soon. His hard work for a decade now doesn’t make Marcel skipping the joy of having good food once in a while. Despite his strict exercise regime, he always finds an excuse to spoil himself with indulging treats from time to time. “Ask anyone around and they will confirm me as somebody who never forgets his ice cream after a meal and anything else sweet and sugary for desserts”, he started his confession. Getting in deeper with what he really likes, Marcel added that he’s fond of noodles also. 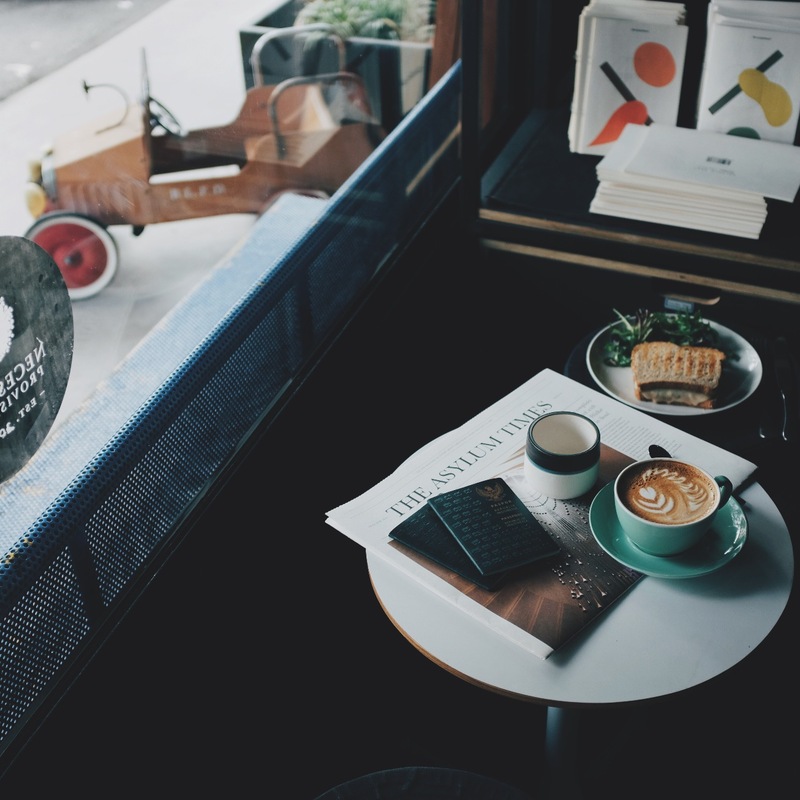 “You should visit Mekong while in Melbourne. Their pho was insanely delicious!” exclaimed Marcel full of honesty. But when in Jakarta, he enjoys having the homemade noodles made by his girlfriend’s parents. “They used to be in the business, so that’s why they know how to make good curly noodles, cook it al dente, and then it came with plenty of meat. I never forget to put my favorite kecap manis into it”, he continued. Like many Indonesians who get homesick too soon when traveling aboard, Marcel is also the type who brings chili sauce as his savior. “In contrast to that, when traveling locally, I will always bring my preferred brand of kecap manis”, he said – a bit secretively. Since this is a barbecue issue, we did not forget to ask him about his favorite grilled food. “Make no mistake, I love meat but I have limitations naturally. Being an ex vegetarian, I began to love grilled vegetables whenever we’re doing a BBQ event”, explained Marcel. Well, he knows exactly that grilling the vegetables helps to bring out the flavor. “Now you know my guilty pleasure then”, he concluded. The fledgling influencer of this age simply fascinates us with their dreams and creativity, especially with what they achieved in social media world. That’s why we would like you to meet Reinaldo Kusumonegoro. It is a wonder that nowadays college students can gain prominence faster than it was perhaps 5 to 10 years ago. One may guess that social media would be the reason why but apparently that’s not all. There’s also a slice of talent, of hardship, and a learning curve as that go along with it. That’s why I decided to meet Reinaldo Kusumonegoro who is now on his third year as college student. 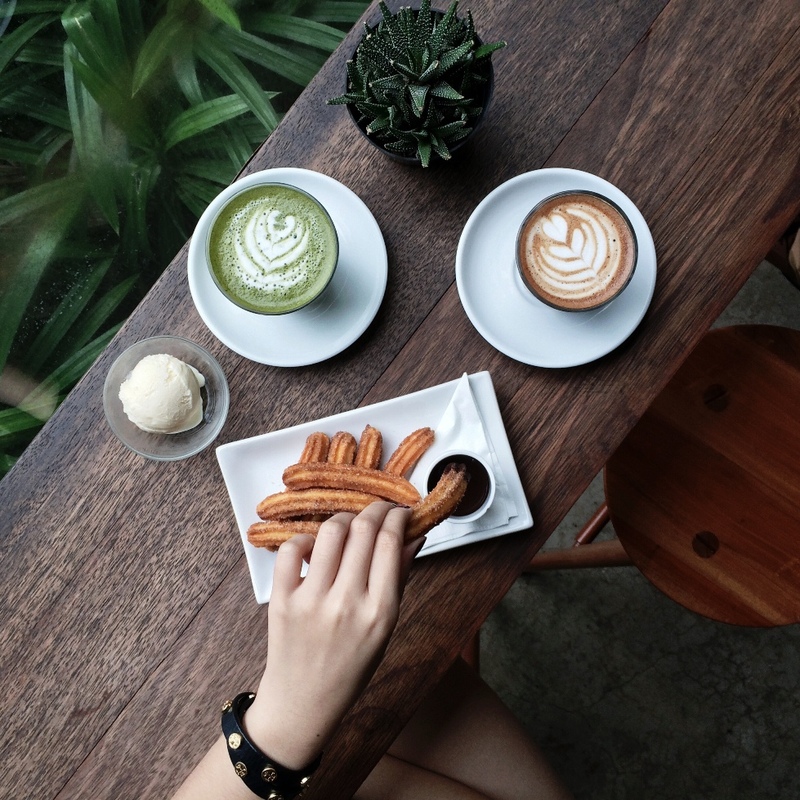 Through his Instagram account we witness that Reinaldo has this stylish consistency and perfection on every shot that he made; be it for food, fashion, and his daily activity. As one of the hottest new icons right now in the Instagram world, the aesthetic approach that he made for his shots came from not just pressing the shutter nor finding the right angle naturally, but with deliberation. The insight for him came from both experience and knowledge from a very young age. “A few years ago when the local Instagram world was still quiet and people would only share immediately what they just shot. In line with my part time job as a marketer for a clothing company, I started to research on how to do things right there”, so he says starting to spill in the beans of his success. As of this moment, Reinaldo is fast reaching 40,000 followers and he admits that it was all owing to his consistency in maintaining the quality of his Instagram content as well as when he received a great opportunity from Instagram itself. “One time I was lucky to be included as one of the suggested users in Instagram and was featured for around three months”, he says. Aside from his busyness as an Instagram icon, Reinaldo gives his dedication also for his study. “I am now majoring in food technology and actually seeing myself involved in F&B business after I graduated. Hopefully this will be a good start for an interesting future ahead with all that has been happening in my life”, shares Reinaldo.